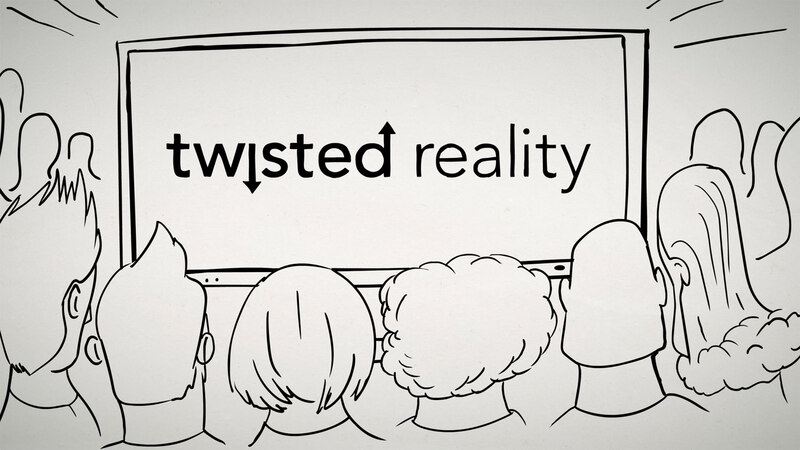 Twisted Reality was developed for teenagers and young adults interested in topics relating to cinema and to the Bible. You can experience Twisted Reality in "home theater" style in the fellowship of others—a perfect environment for sharing viewpoints and having meaningful conversations! On the 7th evening, you'll either have the opportunity to participate in a Grand Finale event in your area, or you'll have a special meeting with your home group to conclude the series. Why do people find stories about the Apocalypse so fascinating? What is it about impending danger from outer space that sparks the interest of so many people? This is where the adventure begins for a young boy named Sadi, whose life is turned upside down by a catastrophic event. Movies often depict the world as either inherently good or constantly improving itself and then made to suffer from a threat that comes from the outside. The Bible, however, describes a world that is actually broken and dying, and in desperate need of renewal. What comes from the outside is not a threat, but rather a solution: Salvation comes from the heavens. Movies often portray heroes as individuals who use questionable methods to adamantly pursue their objectives regardless of the consequences. As viewers, we tend to consider this normal and acceptable. The Bible has a different term for the person who considers themself a hero by acting in such a way: an enemy of goodness. A true hero behaves differently. Every child has a father — even Luke Skywalker. But what makes a true father and how do our experiences influence how we perceive reality? In his own struggle to survive, it becomes clear that Sadi's past directly influences his actions. Movies often portray supreme rulers as tyrants who exercise their claim to power through a totalitarian regime. In other words, they are the enemy and are meant to be opposed. The Bible, on the other hand, tells us about a powerful creator and ruler of the universe, whose reign is based on love and freedom, and whose intention is to save humanity. How can you tell the difference between friend and foe? Is there also a foe that we're fighting against in this life? As the danger draws nearer, Sadi has to give it his all to stay in control of the situation. Movies often introduce an adversary that promises to bring salvation but is actually planning the destruction of humanity. The Bible tells us of a savior that died for us in order to reunite us with God. Why is rebellion so often a part of the plot in popular movies? Who or what do you have to fight against in order to gain freedom? When Sadi awakens, his view of reality starts to change. Movies frequently depict a fierce and desperate struggle when a group of people revolt against a tyrannical regime that threatens their existence and their freedom. The Bible reveals that it is actually the act of rebelling against divine authority that imprisons us, whereas submitting to it leads to freedom. Why does the line between good and evil seem to grow more and more blurred in movies? How can we find the right path for our lives? When a special encounter changes his world, Sadi receives another chance and a special task. Oftentimes in Movies, those who loyally fight on the side of their ruler are made to appear as if they lacked their own personality or weren't capable of thinking for themselves. Most times they make up the majority. The Bible says that those who are loyal to God are in the minority. They have made a deliberate decision to live according to their conscience because they love God. Their vigilance and faithfulness help others to see the truth and become saved. What happens when the story ends? Why is that relevant for your life? A happy ending in most Movies usually means that life on this planet can continue in the same way it always has. It is the type of ending that reflects what we are already used to and how we want things to be. A happy ending according to the Bible involves a new beginning—first in your own life and then eventually for the whole world. It is the fresh start that we need.